The Standard Mounted Holster features an adjustable Military Grade Rubber retention system. The adjustable retention system can be tightened or loosened to the desired holding using a Philips head screwdriver. This system comes with the RAM™ Flat Surface Mount (2.5"), the diamond 1" poly coated ball base attached to the Dara Holster and stainless steel mounting hardware. This holster is not intended to be a multipurpose holster. 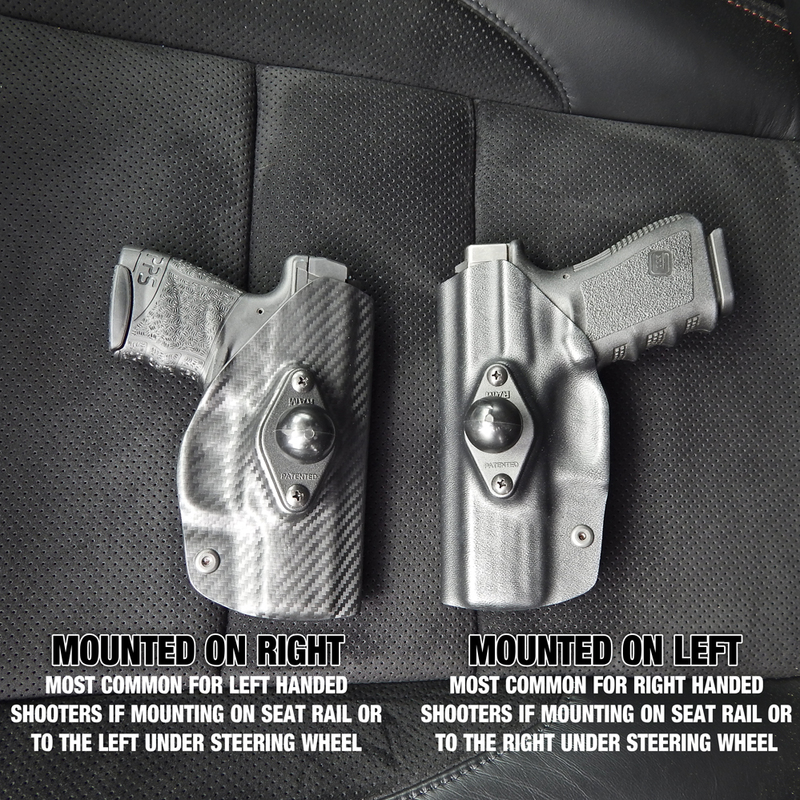 The base can be switched out for another Mounting System, they are not indended for OWB, IWB or pocket carry.